Wolves bounced back from a goal down to beat Manchester United last night. The Red Devils will move down to sixth in the table if Chelsea win their fixture against Brighton tonight. From last night’s display, we can conclude that United clearly lack quality and depth in key areas and if reports in the media are anything to go by then the club could lose two first team players in the summer transfer window. According to Sky Sports News, Ander Herrera has agreed terms to joined French giants Paris Saint-Germain in the summer. On the other hand, Juan Mata is in talks over a move to Catalan giants Barcelona. The former Athletic Bilbao midfielder has been influential for us, especially under the management of Ole Gunnar Solskjaer. 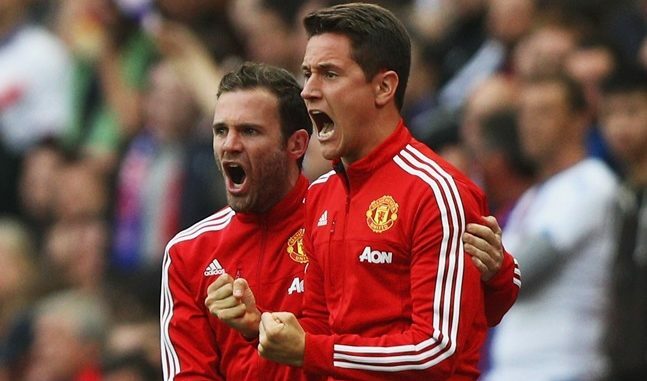 Still, in my view, Herrera, who will turn 30 in August, is past his best and we need a quality replacement. In the current campaign, the Spaniard has been injured a few times and so far, he has only started 15 times in the Premier League. It must be noted that PSG midfielder Adrien Rabiot will be out of contract in the summer and I think, it would be a massive coup if United can get his signing done. The 24-year-old French international has not played a single game for the Ligue 1 champions since December 2018. As far as Juan Mata is concerned, he has mostly been a bench warmer for us this season. The former Chelsea player has only started 13 league games so far and his performances have been inconsistent. The 30-year-old star has mainly played as a right winger for United and in my view, he is now too slow to play in that position. Lingard is currently the first choice right winger and the club needs to sign a top player to replace Mata. As per recent reports (Calcio Napoli 24), Mexican winger Hirving Lozano is on Solskjaer’s wish-list. The 23-year-old is a pacy attacker, who can effectively play on either flank. Moreover, he has regularly scored and created goals for PSV since moving to the Dutch side in 2017. This season, so far, he has directly contributed in 23 goals (15 goals and 8 assists) in 25 appearances for the reigning Eredivisie champions. In your opinion, should he be lured to replace Mata at Old Trafford? The squad is in serious need of an overhaul with as much as 8 new players to be bought. Lozano is OK for the Eredivisie but may not feature in the stronger English Premier league; a gamble. Ndombele, de Ligt, Koulibaly, Isco, Icardi, Fernandes, Skriniar, Varane and Joao Felix should be under consideration. Even De Gea is not indispensable. He looks jaded and is making too many mistakes. A whole slew of current Man U players must be shown the door with the exit sign over it.